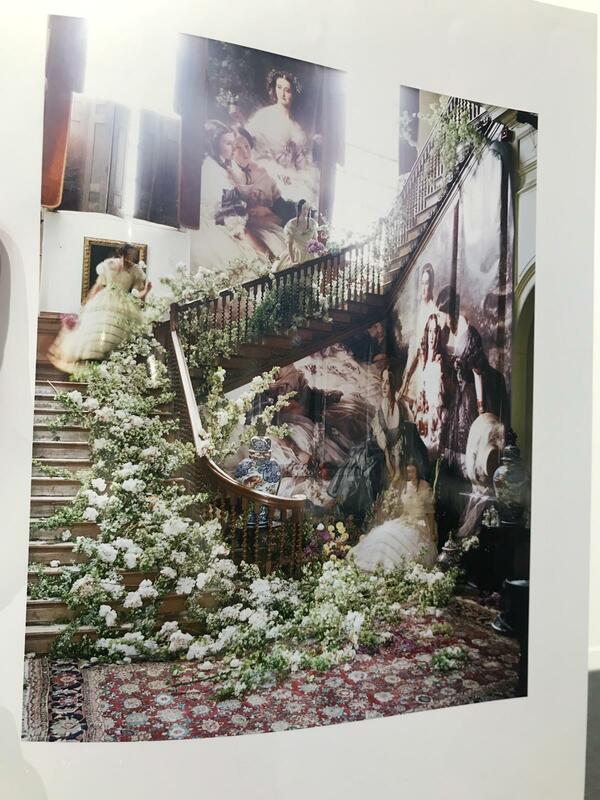 One of my newly discovered relatives, Yolande de Ziegler, kindly sent me this photo from the Geneva art show where Tim Walker was being exhibited. It is a mash-up of the the original Winterhalter painting with Eugenie and her Ladies in Waiting. Jane Thorn is on the left of the top of the picture with dark hair. It’s interesting to see how this painting has distilled into other media over the years. For instance, the costumes have been copied in role playing. Below is the original, which I am using as the header for the website. It is so magnificent in real life. Takes up a full wall.